Over 80 online safety, HR, service training courses. LMS included. And we manage the LMS for you. $895/year. Back up your safety goals with solid training that is trackable and reportable. 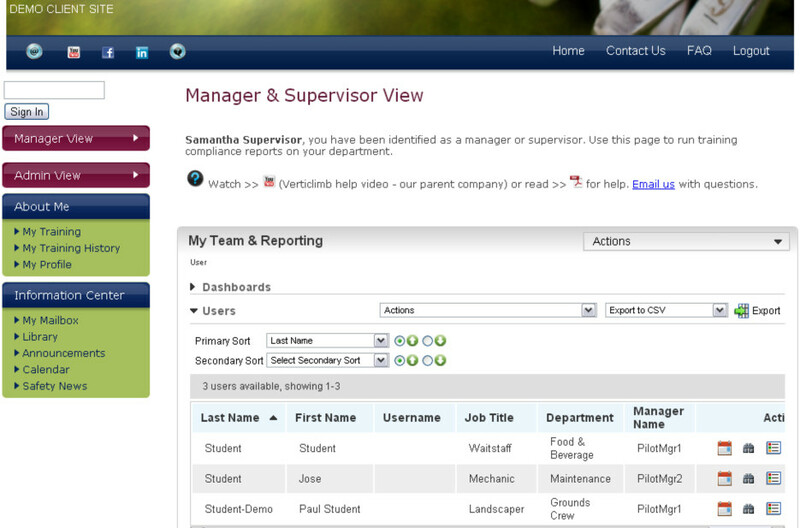 We never delete employee user records, even if the employee has been terminated. We simply deactivate the account from view. As long as the employee was given a user account, you will always have a comprehensive training history for your employees. You could secure your own LMS, buy the courses, hire a person to run the system, add/delete user accounts, and deal with tech support. But why? Club Learning Institute does it for you. You've got more important things to do. 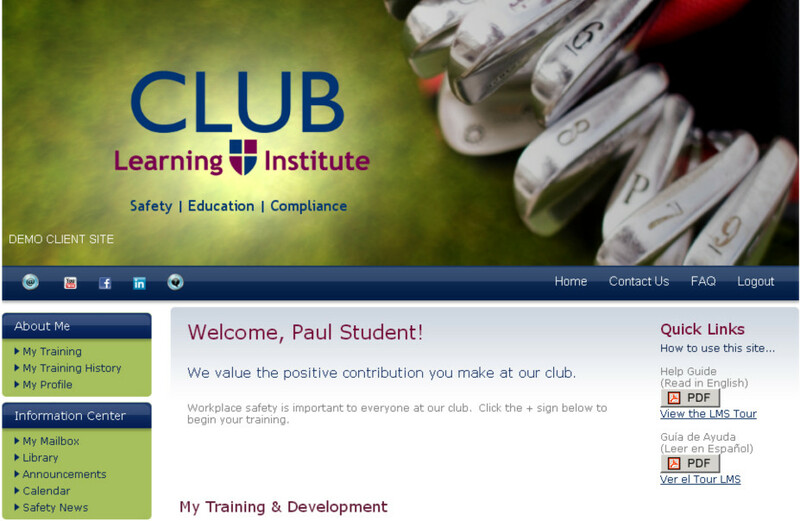 Use your time to create a well-rounded risk management plan to go with your Club Learning Institute training. Start a safety committee. Implement a rewards program. Institute monthly safety talks. All of these actions are important to long-term safety goals. Reports available when you need them. Excellent customer service that stays with you for the duration of your account. 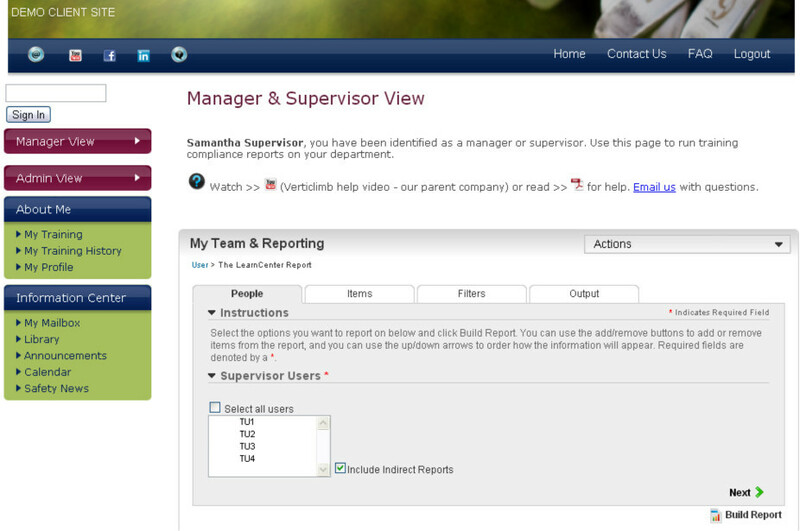 Tech support for employees on the system. LMS managed for you, so you don't have to. Custom header and text options. 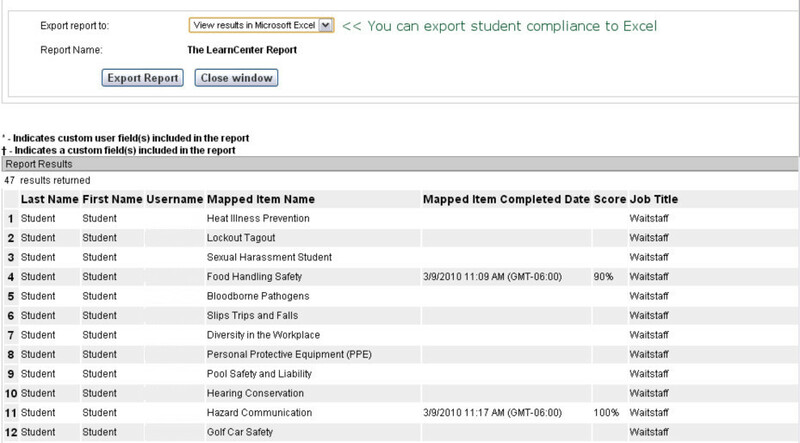 Course quizzes automatically grade and track employee compliance.